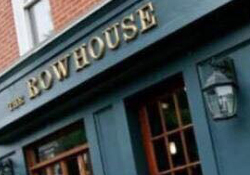 The RowHouse Grille is South Baltimore's newest restaurant and bar. The building has just been renovated inside and out with a new oak bar, new cherry wood floors, second floor lounge with a fireplace, chandelier and high ceiling. Patrick Dahlgren welcomes you to visit and enjoy casual and upscale dining with eight taps upstairs and down, as well as two flat screen HD TVs.